Cheryl Fuller, PhD, is a Jungian psychotherapist living on the coast of Maine. She has her doctorate in Jungian Studies and has had many years of study and training at various Jung institutes, as well as in Jungian analysis. 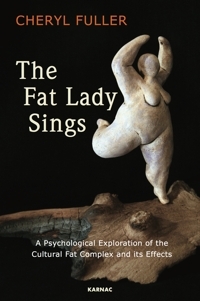 She brings over forty years of clinical experience, humuor and enthusiasm to the study of Jung, psychotherapy, feminism, and fat studies. She has a private practice for individuals in Maine and online.